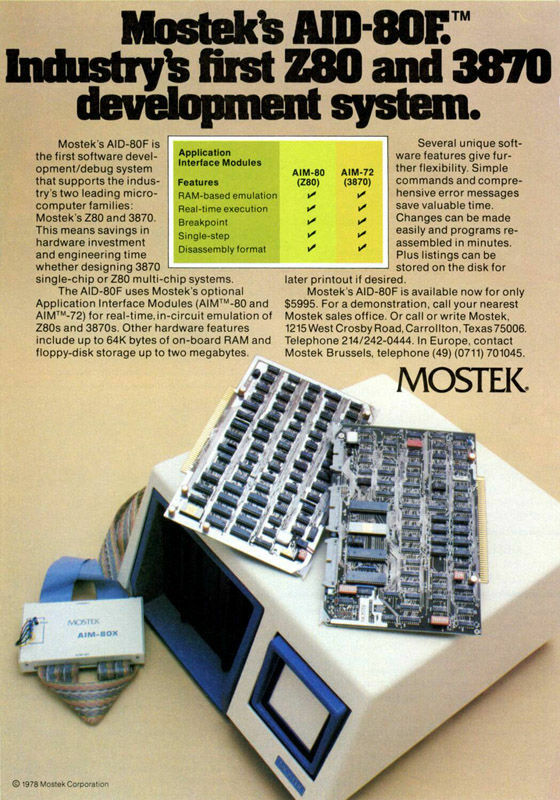 The AID-80F was sold by Mostek as a Z80 development platform, or as an OEM computer for custom applications. 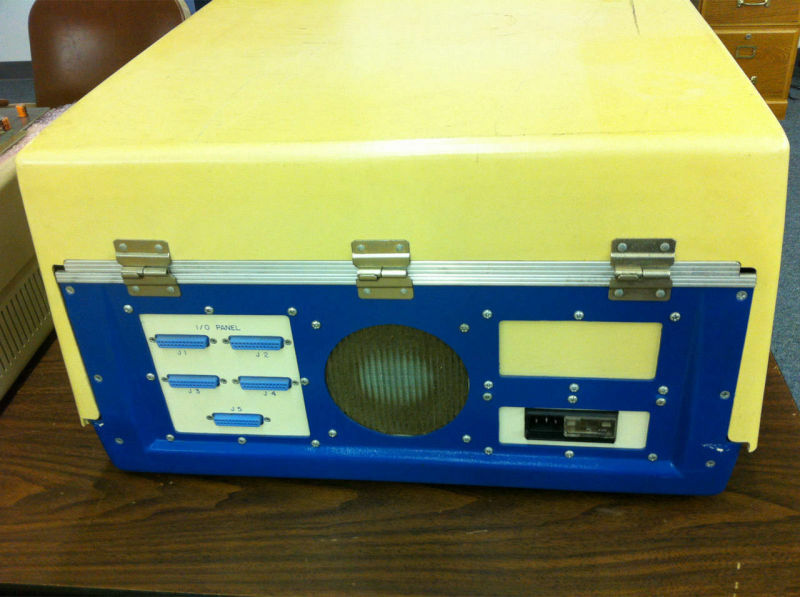 The computer pictured below was obtained from an ex-Mostek employee who used it for text processing with WordStar and playing games in BASIC. 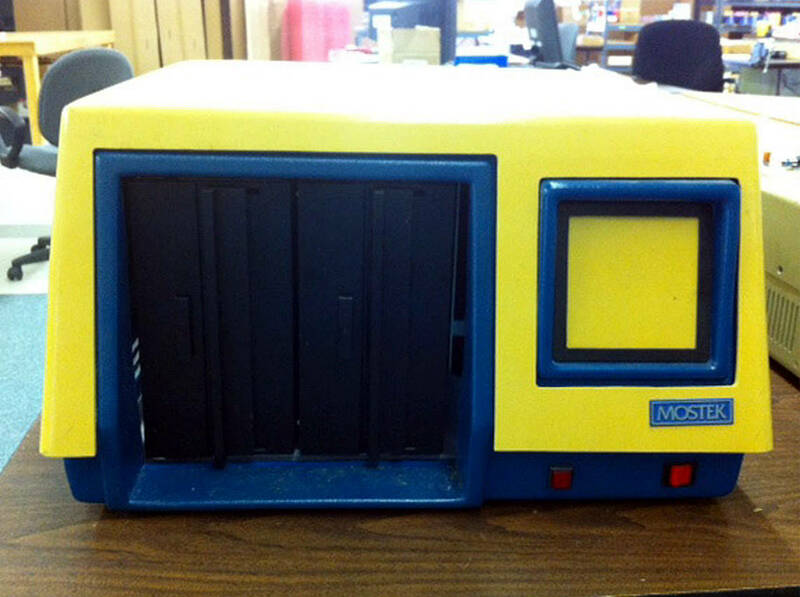 Mostek sold/gave the computers to employees when the computer line was discontinued. 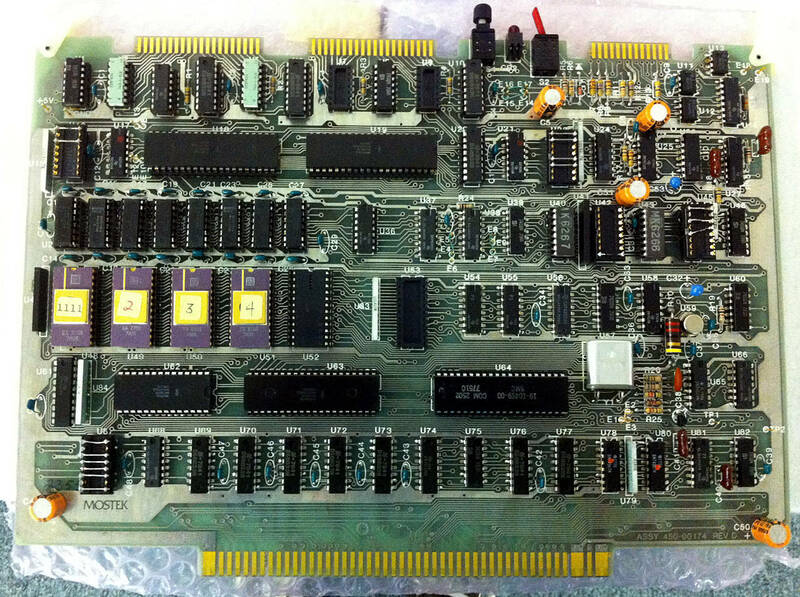 The AID-80F uses a Z80 processor running at 2.458mhz with 64K of RAM overlaid by 4K of PROM at E000-EFFF. A WD1771 based floppy disk controller connects to two Shugart 800 drives which are used in a single-sided, single density, soft-sectored configuration. 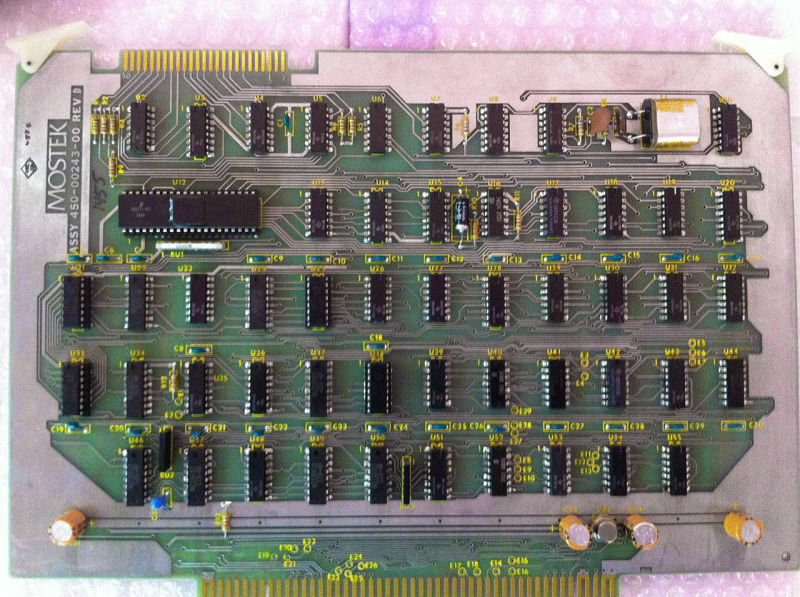 The card cage uses the same 50 position sockets (100 contacts) as used with the S-100 bus, but based on the size of the boards and the power and ground connections, the boards are clearly not S-100 compatible. 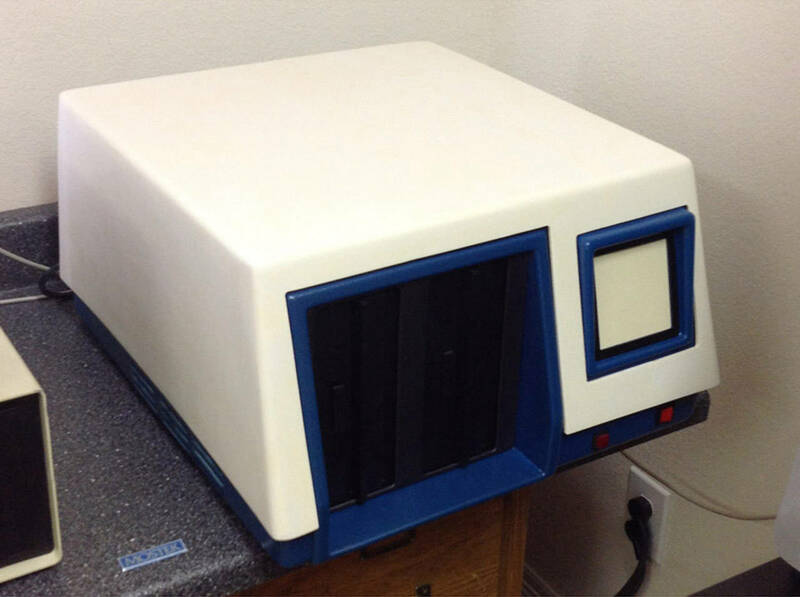 Click this text to see details about the restoration of this computer.